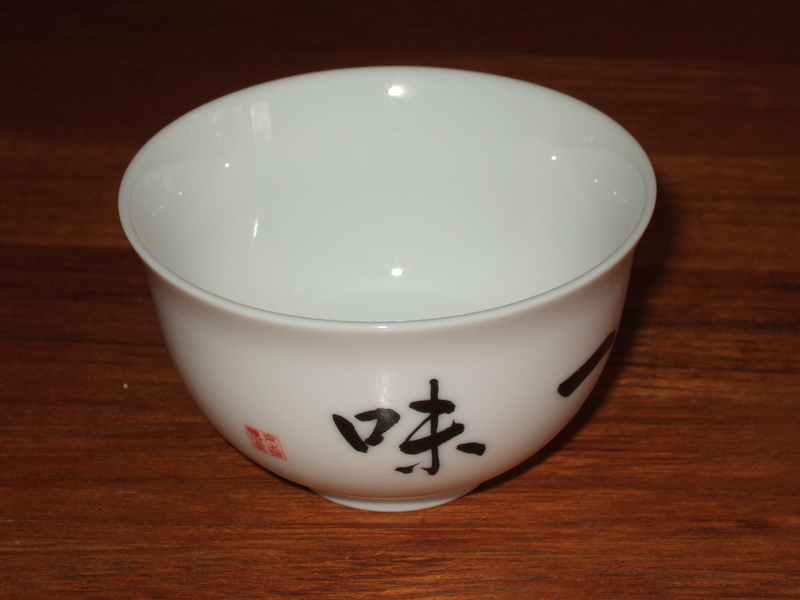 As I pick up my teacup on this cold winter morning, I’m remembering the story of the Zen student who asked Shunryu Suzuki, author of Zen Mind, Beginner’s Mind, why the Japanese make their teacups so thin. Being so delicate, the cups are easily broken. Suzuki’s Roshi’s point is well taken. We must adjust to our surroundings. However, if you are living in Western New York in the month of January, you may be feeling a little resistance to Suzuki’s wisdom. It is not so difficult to adjust to one’s environment when, as now, a lean female cardinal is coming and going from our feeder, her orange beak and tan feathers catching the early-morning light. But it is not so easy when your driveway is filled with snow, the sidewalks are icy, and you’re already sick of scarves and parkas. Here in Alfred, New York, we know how to handle such conditions, but that doesn’t mean we like them. Yet the significance of the student’s question and Suzuki’s response transcends the question of adjustment. What the story vividly illustrates is the way in which preconceptions—in this instance, that teacups should be sturdy and equipped with handles—influence and often govern our perceptions. And it also exemplifies the resistance that many of us bring to the unknown, whether the new or foreign object be a Japanese teacup or an all-electric car. For a more immediate example, please pause and consider any preconceptions that you might have brought to the reading of this column. Perhaps you expected something other than what you’ve encountered—a discussion of meditative methods, for instance, or an explanation of satori. Or, conversely, perhaps what you have so far read accords with your expectations, and you are more or less satisfied. In the first instance, you might choose to read something else; in the second, you might choose to read on. There is, however, another option, which is to examine your expectations and your present response in the light of awareness. Looking closely into both, you can discern your assumptions, your fixed ideas, and the judgments they’ve engendered. And you can become aware of those mental processes, even as they are arising, continuing, and passing away. In The Four Foundations of Mindfulness, a core text for Zen students, awareness of this kind is called “mindfulness of the mind in the mind.” That somewhat cumbersome phrase refers to awareness of mental phenomena in the very moment when they are occurring. Such awareness is not the same as discursive thinking. Rather, it is a kind of effortless seeing, its object in this case being the thoughts that cross our minds. In contrast to fear, worry, and resistance, open awareness liberates the mind, both by illuminating our mental processes and by revealing the empty, or ephemeral, nature of mental events. Such awareness cannot be awakened by an act of will. There is no switch to turn it on. However, it can be cultivated through the practices of sitting and walking meditation. And when it occurs, it can be felt in the mind as a spacious receptivity and in the body as a subtle shift of orientation—a shift from the confines of the head to the expansiveness of the hara, the body’s center of gravity, situated in the lower abdomen. Viewed from the standpoint of the hara, even the most destructive thought loses much of its power. Shinge Roko Sherry Chayat Roshi, Abbot of the Zen Center of Syracuse, has likened this felt shift from thinking to awareness to an expectant mother’s experience of her baby “dropping” into the pelvis shortly before birth. In this instance, however, the baby is the mind itself, as it settles into awareness, fully cognizant of whatever is occurring. In that silent, open space, habitual thoughts and self-protective judgments can be recognized for what they are and nothing more. And even a traditional Japanese teacup, however breakable or difficult to handle, can be appreciated as something useful, beautiful, and new. I often wait a while to read your posts, Ben, because they ask so much of my attention. Frankly, I prefer mind-candy. So it’s interesting and valuable for you to ask your readers to examine the attitudes and assumptions they bring to your posts. I notice that this time I was able to dedicate the necessary time and attention, rather than engaging in my usual delaying tactics. Curious. I find your posts a refreshing reminder of how simplicity and focus can restore us to wonder. Thanks for each one of them.